Ethiopia is ranked with the other African countries of Kenya, South Africa and Zambia for preserving and maintaining national parks as tourist attractions. Ethiopia is one of the oldest countries in the world. In the long of the African continent, Ethiopia remains the only country which has never been colonized. Several national Parks offer gold opportunities for multi-day hiking in spectacular landscape, partly with good chances to spot wildlife animals. 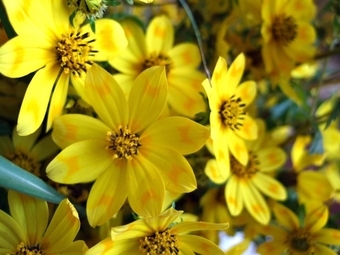 Enkutatash, which means “Gift of Jewels” is the celebration of the Ethiopian New Year. Ethiopia follows the Julian calendar, which consists of 13 months – 12 months each with 30 days and a final month with 5 days (6 days in leap year). Meskel (Finding of the True Cross), is the celebration of the finding of remnants of the actual cross on which Jesus was crucified. The word “meskel” means “cross” in Amharic. According to Christian tradition, St. Eleni (Empress Helena) discovered the hiding place of three crosses used at the crucifixion of Jesus. 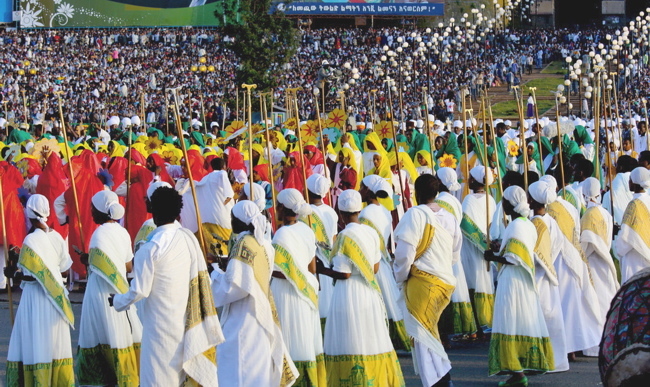 Genna is Ethiopian Christmas, and coincides with other Orthodox Christmas celebrations around the world. The feast marks the end of the 40-day fasting period of Advent. On Christmas Eve, the faithful participate in church services through the night before celebrating with family and friends on Christmas day. Menagesha National forest is a paradise for birds and different endemic species such as the globally threatened White-winged fluff tail, Yellow-fronted parrot, Abyssinian Woodpecker and Abyssinian catbird. Ethiopia’s national parks mirror the country’s immense sweeps of savanna and mountains, breath-taking scenery, inhabited by vast herds of charismatic mega fauna. Catch a glimpse of the most exciting national park destinations. Some of the oldest evidence for anatomically modern humans has been found in Ethiopia, which is widely considered the region from which modern humans first set out for the Middle East and places beyond. Our team is at your service to answer your questions and to make your stay unforgettable.